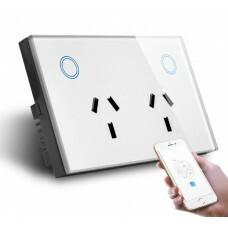 Smart Home Automation made easy with Taylor and Stirling. Open up a world of possibilities with motorised blinds, curtains, romans and external roller shutters. Automating your window furnishings will enable you to take home living to the next level adding ease, convenience and comfort, whilst saving you money on your energy bills. At Taylor and Stirling we have the right products, solutions and information to guide you on your home automation journey. Starting with a simple remote control of your window furnishings, you can simply start to add more items to your a central hub, You can then use your smart phone to also provide smart control, then you can integrate, your smart home devices to – Amazon Alexa, Google Home and Apple HomePod – enabling voice control and so much more. Future proof your home now for long term savings. Start your smart home automation journey today. Taylor and Stirling are here to assist you on the way and show you just how easy it is. Motorising your blinds and curtains and integrating them with your smart home devices will greatly assist in reducing your energy usage, delivering savings back to the household. Consider your options with a future view that is rapidly becoming today. With the latest motors we can now retro fit motorisation to your existing blinds, curtains and roman blinds. 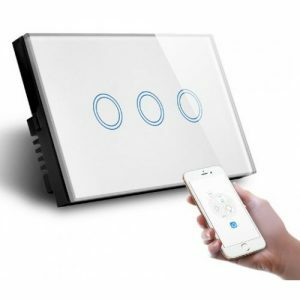 Convenience, comfort, entertainment, safety and energy management top the list as the most desired benefits from smart home automation. But the longer term benefits are the energy savings of automating your window furnishings. By motorising your window furnishings and integrating them with your smart home devices, your house will become more energy efficient. Set your blinds to go down during the day to keep the house cool in summer and warm in winter. Smart Home Automation will greatly assist in reducing your energy usage, delivering savings back to the household. Automating your blinds adds convenience to every day living at the touch of a button or a simple voice command. Set all your blinds to go down as you leave the house or to open up when you get up in the morning. Save time – No more walking around to each window and manually opening/closing each of your blinds! Now you can easily open and close your blinds on hard to reach windows whenever you want. These can be powered by 240v motors or 12v motor with the addition of a Solar Panel you wont have to go up and charge the motor as the sun will do that. Set the mood for comfortable living in your home. Watching a movie? Ask for the sunscreen blinds to come down to remove the glare from the comfort of your couch. Hot afternoon sun coming in and heating the house? Simply command your blinds to go down. Cold afternoon? Set your blinds to go down at the same time the heaters go on. Beautiful morning outside? Say the word and watch all your blinds go up at once to reveal the world. Safety of home, comes in two forms, in the first instance there are no longer chains hanging down so if you have young children in your home you remove the hanging risk that window furnishing chains present. In the second instance consider the risk when your home is vacant from during holidays, or your away for work. You can now control your window furnishings both on an automatic setting or remotely from anywhere i.n the word.